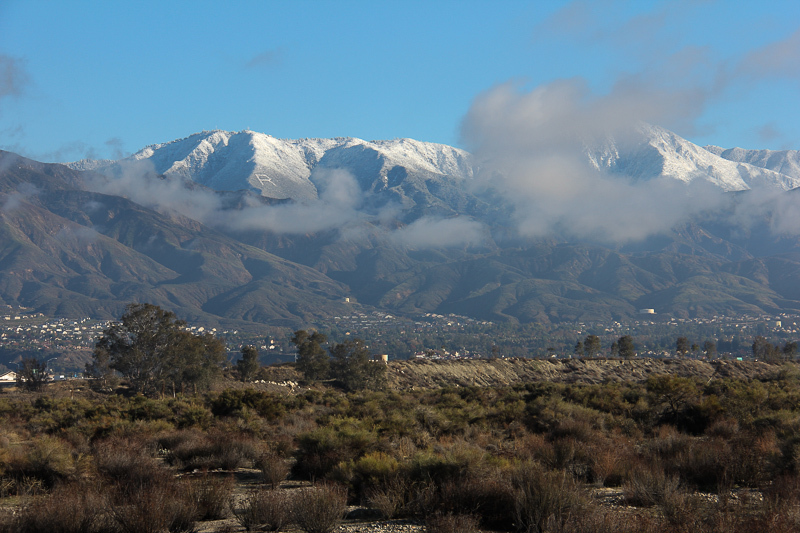 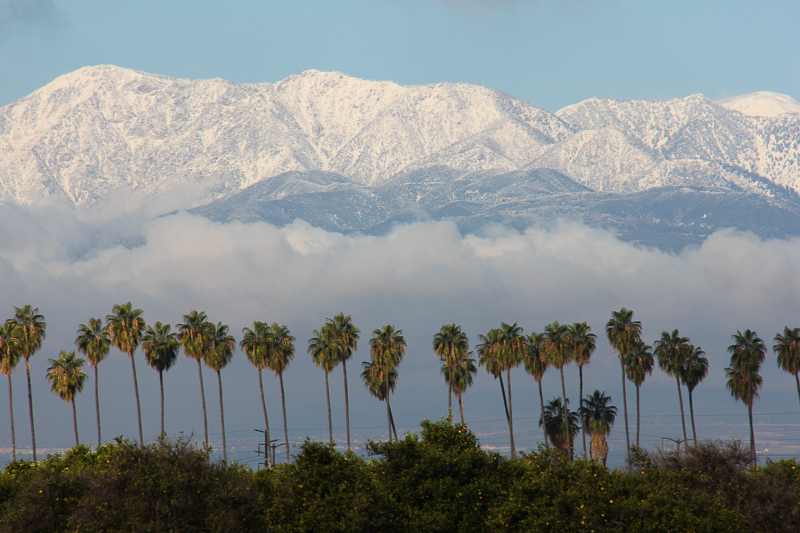 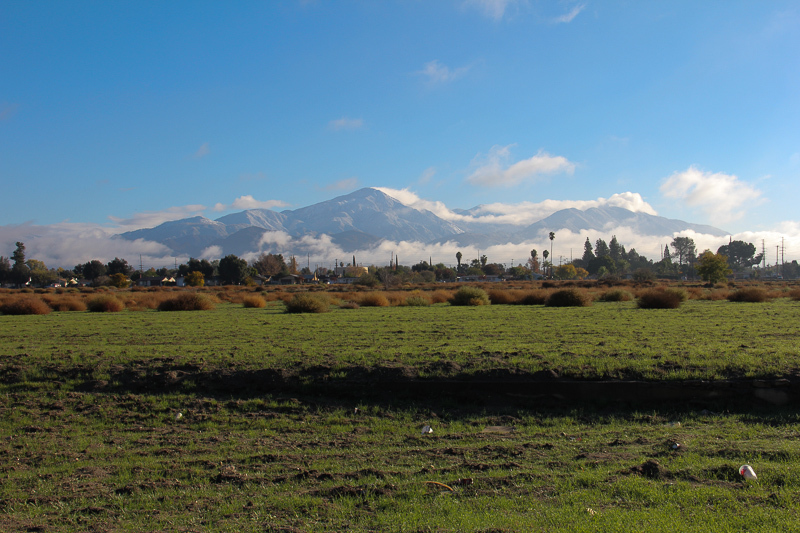 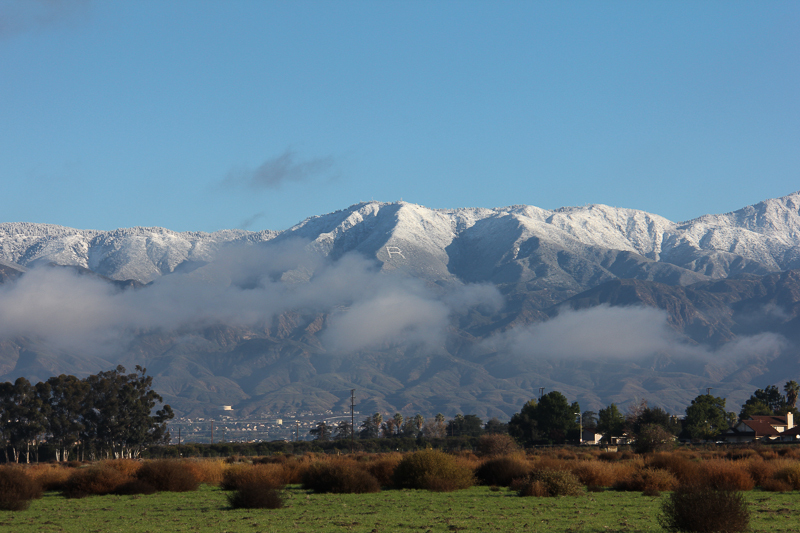 December 15, 2012 - Southern California had its first winter storms of the season during the past two days, which gave the San Gabriel and San Bernardino mountains their first dusting of snow. 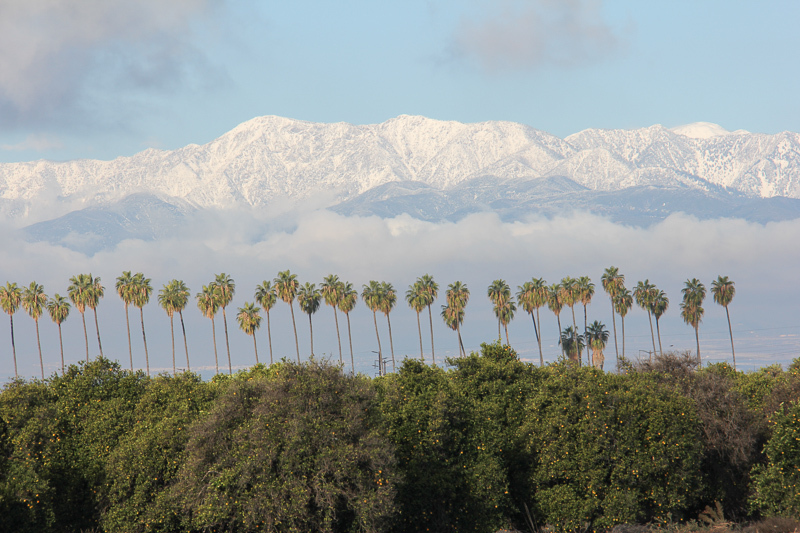 Of course for us this is just perfect since we can see the snow but it is at least twenty miles away. 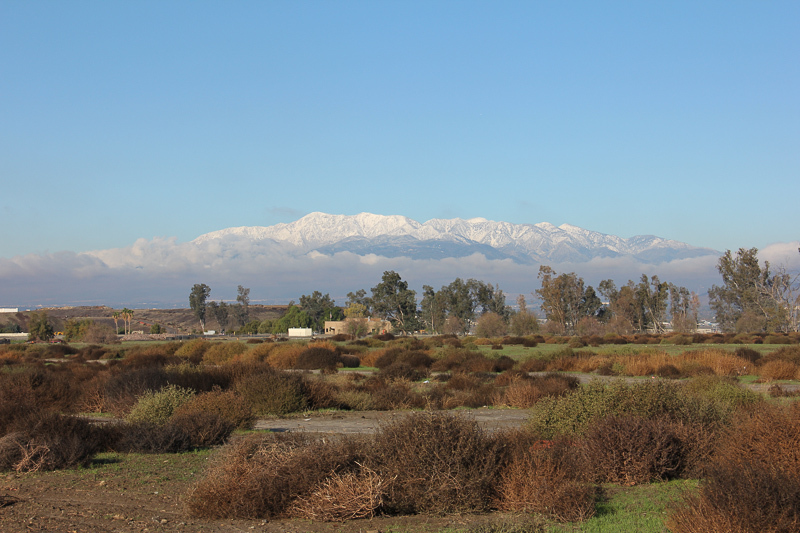 University of Redlands students periodically climb this mountain to clear the "R" of brush. 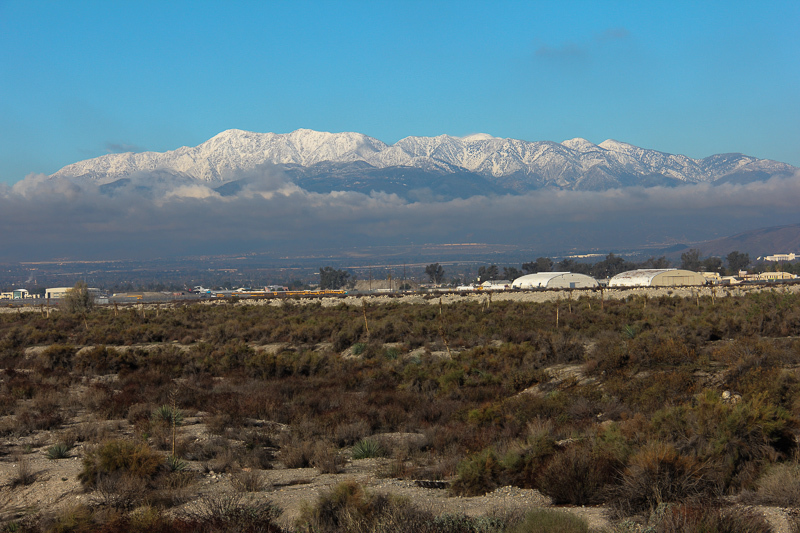 The Redlands Airport lies in the valley just beyond the trees.